It is expected that by the third quarter of 2019, the internet world would have ushered in a new superior standard of the Wi-Fi system. When launched, the newest generation of Wi-Fi – Wi-Fi 6 (802.11ax) – will have the power to dramatically improve the wireless experience. It harbors the potential to enable new use cases for wireless activity that wasn’t possible before. Built on the strengths of 802.11ac, 802.11ax aka Wi-Fi 6 can add tremendous flexibility and scalability that lets new and existing networks power next-generation applications like never before. Globally, the biggest expectation from Wi-Fi 6 standard is its ability to render seamless data experience in dense environments like malls, stadiums, etc. Soon, Wi-Fi 6 will be made available worldwide and India is also undeniably ready to harness its full potential. The newest generation of Wi-Fi – Wi-Fi 6 (802.11ax) – has the power to dramatically improve the wireless experience. VoicenData: Let’s begin with understanding how Wi-Fi 6 will be different from the existing Wi-Fi standards. Could you outline its capabilities over its predecessor? Pramod Badjate: The 802.11 Wi-Fi standard has rapidly and significantly evolved over the past two decades. With Wi-Fi 6, i.e. 802.11ax, we are going to witness an overall shift in network capacity and efficiency in addition to higher throughput speeds. To meet the challenges of high-density deployments, the IEEE recently introduced this Wi-Fi 6 (802.11ax) standard – which is the first to bridge the performance gap towards 10-gigabit speeds. With an expected four-fold capacity increase over its Wi-Fi 5 (802.11ac) predecessor, Wi-Fi 6 has the potential to transition to a deterministic wireless technology that will fast become the de-facto medium for internet connectivity. With Wi-Fi 6 products one can leverage data over high bandwidth, low latency, and high security. Wi-Fi 6 will particularly be experienced in high-density venues such as stadiums, convention centers, transportation hubs, and auditoriums. When deployed in dense device environments, Wi-Fi 6 can support higher service-level agreements (SLAs). When deployed in dense device environments, Wi-Fi 6 can support higher service-level agreements (SLAs) with more concurrently connected users and devices and more diverse usage profiles. This is made possible by a range of technologies that optimize spectral efficiency, increase throughput and reduce power consumption. As the latest iteration of 802.11, Wi-Fi 6 (802.11ax) is expected to become prevalent in ultra-dense environments such as transport hubs, urban apartment complexes, college campuses, concert venues, and sports stadiums. These are all locations where consumers routinely access the internet over Wi-Fi, as well as share UHD content and stream 4K video. VoicenData: It is very easy for end consumers to recognize spectrum through acronyms like E(Edge), 3G,4G. How can end users recognize and upgrade to a Wi-Fi 6 connection when the new standard becomes mainstream? Pramod Badjate: Certainly, giving a number to the Wi-Fi standard as against the complex numbering system is a great welcome from the marketing angle. It enables us to reach out to our clients and consumers better, who on seeing the superscript 6 against the Wi-Fi symbol know that they are receiving their internet from a superior technology with higher throughput efficiencies. VoicenData: With 4G coming of age and 5G being in the works how would mobile data work in tandem with the new Wi-Fi 6 standard, would they complement each other? Pramod Badjate: I don’t see a big change in the working of the 5G spectrum along with Wi-Fi 6 as against the working of the existing 4G spectrum with the current Wi-Fi standards. Although, we are comparing a licensed spectrum (5G) vs the standards of an unlicensed spectrum (Wi-Fi), what I see is the immediate cost-advantage that Wi-Fi 6 can offer. A massive amount of investment is required for 5G deployment. Deploying 5G spectrum would demand a lot of financial investment on buying the spectrum as well as on its associated infrastructure. Wi-Fi 6, on the other hand, will be an economically rational way of consuming faster internet under increased security conditions. Wi-Fi 6 can certainly offer an interim cost-effective solution with increased connectivity especially playing an important role in IoT-based connected devices. The security protocol in Wi-Fi 6 will be far superior to the earlier standards. VoicenData: What does the new WiFi standard mean for data security, how does WiFi6 has an edge over the previous WiFi standard? Pramod Badjate: The security protocol in Wi-Fi 6 will be far superior to the earlier standards. The Wi-Fi 6 will come with a WPA3 certification, which was built on the success of WPA2. WPA3 has been evolved to include stronger protections and new security practices making interoperability seamless. WPA3 technology can enable more robust authentication as it comes with increased cryptographic strengths. WPA3-enabled Wi-Fi 6, thus, is ideally suited for large enterprises, governments, and financial institutions. Wi-Fi 6 is a solid choice for environments with many access points and connected devices such as stadiums and other public venues. VoicenData: Who would be the key takers for Wi-Fi 6? Which industry would maximize on its introduction to the market? Pramod Badjate: Wi-Fi 6 is a solid choice for environments with many access points and connected devices such as stadiums and other public venues. Smart homes, smart cities, and Internet of Things (IoT) based devices can avail greater benefits through Wi-Fi 6 deployments. From streaming UHD movies to executing mission-critical business applications requiring high bandwidth and low latency, Wi-Fi 6 will be the natural choice to upgrade. Wi-Fi 6 is also going to be the natural choice for any outdoor setting where an increased volume of people is seen traversing large congested data networks in airports, rail stations and other crowded areas where public Wi-Fi access points are high. VoicenData: How can Wi-Fi 6 re-define India’s public Wi-Fi ecosystem? Pramod Badjate: The design of Wi-Fi 6 is more specifically meant for outdoor wireless connectivity especially in dense locations that may have many consumers drawing internet from several common access points. As India is one of the largest consumers of the internet, especially at public places like railway stations, Wi-Fi 6 becomes best suited for enabling faster internet deployment connecting many users at one time at a greater speed. 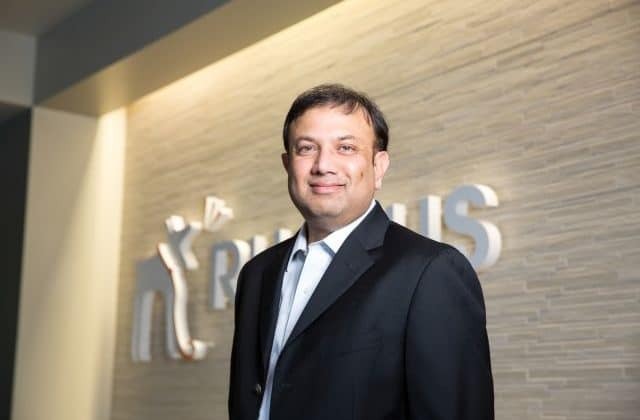 Ruckus, evidently, is well positioned to place our Wi-Fi 6 wireless products to enable India to transform the wireless ecosystem by providing faster and higher throughput connectivity solutions. Wi-Fi 6 will be slated as the de-facto medium for future internet connectivity: Ruckus’ Pramod Badjate 0 out of 5 based on 0 ratings. 0 user reviews.